In a live broadcast this morning, Square Enix shared ten minutes of Secret of Mana‘s upcoming remake for the PlayStation 4. Like the original on the SNES, the remake supports multiplayer co-op where you and two friends can each take control of Randi, Primm, and Popoi — no online support is planned. In the footage below, we get a glimpse of the moogle village and some co-op combat across a few different areas. 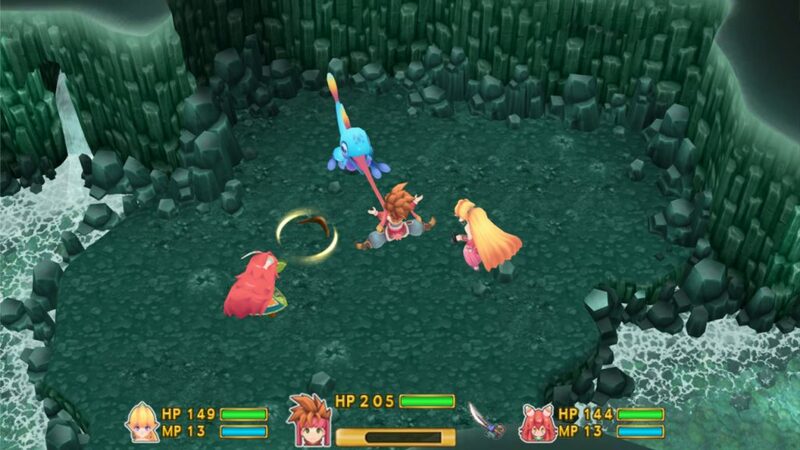 Secret of Mana will release digitally on Windows PC, PlayStation 4, and PlayStation Vita on February 15th — a physical box for PS4 and PSVita versions will be out in Japan. Posted in Secret of Mana.